I would like to clear out all time data at the beginning of every day, but I want to retain my clients and projects. 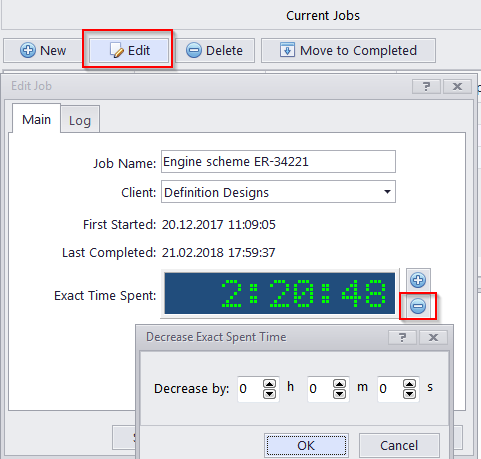 You can do this as follows: open the Current jobs page and double-click the job you would like to reset the time of, then click the Decrease button and enter the exact time spent on this specific job. Repeat this operation for every necessary job. Also the same can be applied to a completed job.